A mother and daughter, dressed for Christmas morning, exit from the church of Emmanuel. The churches were themselves a marvel of architecture. 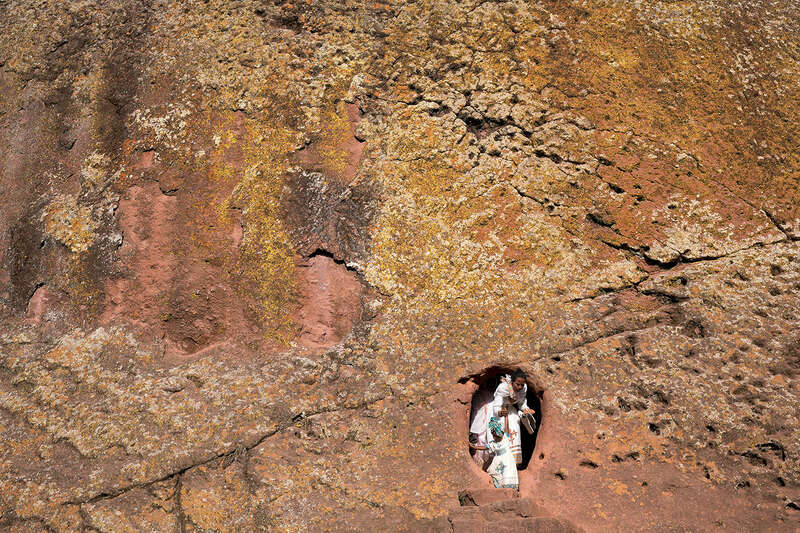 Never before or since have buidlings been carved from the top down out of a singular piece of volcanic stone making Lalibela an UNESCO world heritage site.